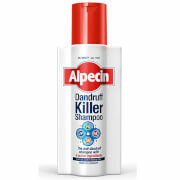 Say hello to full and healthy-looking hair with Alpecin Thickening Essentials. This shampoo and liquid duo will help to stimulate hair growth, making it ideal for men who suffer from fine, thinning or sparse hair. 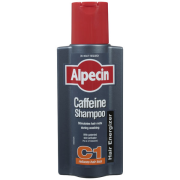 Enriched with caffeine, it promotes hair growth and can slow down hereditary hair loss. It penetrates the hair follicles even once the shampoo is rinsed out, and if left on for longer, it will also penetrate into the scalp. In just a few washes, the hair's structure is improved, with enhanced grip. Fine and weak hair is fortified, making it easier to style. Formulated with a caffeine-containing active ingredient combination, this multi-tasking liquid counteracts premature hair loss, increases hair root productivity and enhances the speed of hair growth. 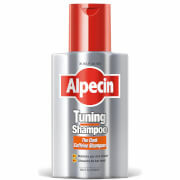 Lasting for up to 24 hours, it creates a tingling sensation on the scalp when applied. Wash your hair with the shampoo, leaving on the scalp for a few minutes for maxiumum benefit. After shampooing, apply the liquid to a towel-dried scalp, massaging in. Do not rinse the liquid out. Allow to dry briefly, then comb again.